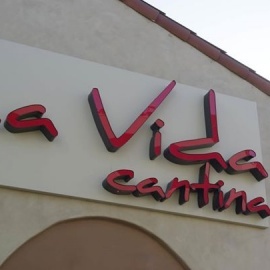 La Vida Cantina is an inviting Mexican restaurant with a lively bar and boasting an energetic atmosphere. The spacious patio is Orange County’s new place to be seen, with a large pentagon-shaped bar, ample lounge seating to relax and mingle, and five fire pits, all under two Mexican-inspired palapas. The interior features beautiful dark wood, warm lighting and contemporary Mexican murals. Located in The Triangle in Costa Mesa. 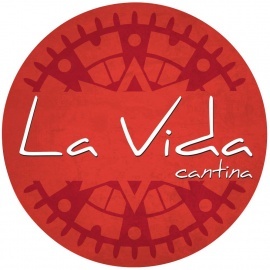 La Vida will serve a menu of fresh, high quality ingredients where traditional recipes are presented with a modern twist. 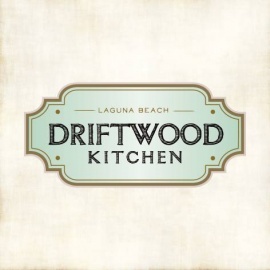 Dishes will use organic ingredients whenever possible, and all items will be house-made. Specialties will include the La Vida Burrito (with a choice of grilled chicken or steak in a flour tortilla filled with refried black beans, cheese and Pico de Gallo, topped with red and green enchilada sauce, cotija cheese, avocado and drizzled with Mexican cream), Enchiladas de la Langosta (two Maine lobster enchiladas in a poblano cilantro tomatillo sauce topped with cheese and a drizzled with a Mexican cream), Ahi Tostaditas (three small crispy tortillas topped with fresh diced ahi, house chipotle sauce, avocado, mango, red onion, cilantro and serrano pepper) and Shrimp Ceviche (shrimp in a mango, red onion, cucumber, cilantro, Serrano pepper and tomato salsa.) 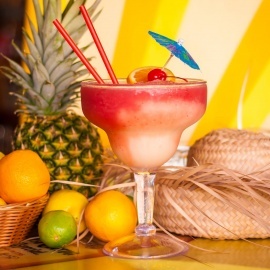 An extensive cocktail menu featuring premium tequilas, signature margaritas and uniquely crafted martinis. Craft beer and an array of wines will also be available.